Camp is almost here, and we are so thrilled to welcome back all of our amazing campers this summer. Camp can get a little lonely during the winter, but once spring hits we know the first day of camp is just around the corner. We’ve been working hard to get everything at Camp Fletcher ready for our programs this year, and we just wanted to say thank you for everyone and everything that makes camp so special. Our campers: We have the best group of kids every year at Camp Fletcher! Our campers are smart, adventurous, funny, and such a joy to work with. We love watching them grow and learn, and it’s always exciting to meet new faces. No matter what our campers do once they leave camp, they always have a home at Camp Fletcher. Our camp parents: We are so thankful for all the parents that trust us with their kids! We know leaving your kids everyday (and sometimes overnight) can be scary, but you know your kids will learn independence and have a ton of fun! Our camp parents get involved, and they’re such an important part of our camp family. Our staff: Our year round staff works so hard, and Camp Fletcher just wouldn’t make it without them! From keeping the office running, to getting the word out about camp and making sure our grounds are in tip top shape, our staff gets it done and keeps camp going all year! We’re also so grateful for our summer staff, who bring a whole new energy and life to camp. We are pumped about the great counselors we’ve got coming this year, and we know they’re going to make this summer amazing! Alumni: One of the hardest parts about camp is watching campers leave. We love watching them get older, but it’s so hard when they leave us for good. Luckily, we have amazing alumni who often come back as counselors and summer staff, and who stay in touch with their camp family! 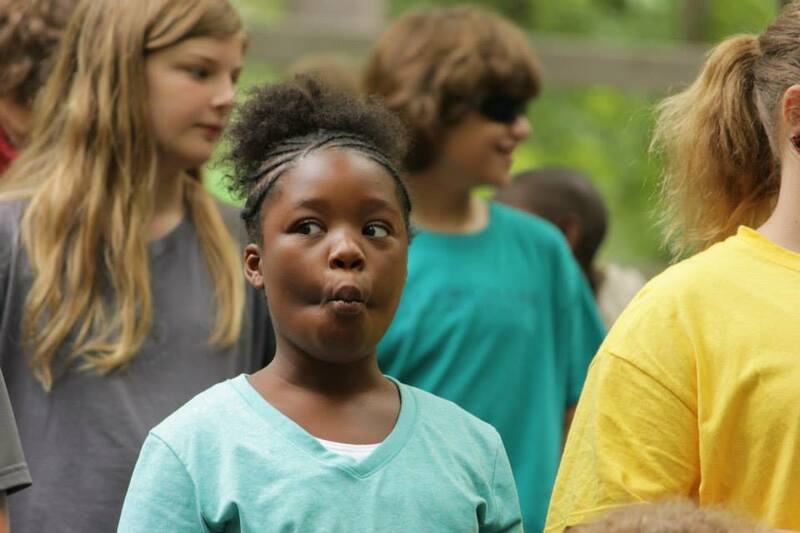 Our amazing grounds: From the trees to the creek, we love spending time at Camp Fletcher. It can be crazy and loud, and quiet and peaceful all in the same day. Our camp is beautiful, and we love calling it home each and every summer. Memories: One thing you’ll definitely get at camp is a summer full of memories! Everyone that’s experienced Camp Fletcher has their favorite stories to tell, and we’re so happy that our campers and staff carry these memories with them all year long. WoHeLo: Everything we do at camp is about WoHeLo, and if you don’t know what we’re talking about, you can read all about it here. WoHeLo is work, health and love, and we’re thankful that our campers are so good at carrying this out in their lives every day. The Camp Family: Camp Fletcher is a family, and it’s always such a great reunion when we come back together each summer and welcome all the new faces. We’re so thankful for every member of our camp family, and we hope they know they always have a home at Camp Fletcher. The promise of next summer: We are so thankful that, when the summer ends, we know we get to do it all again next year! We start missing camp as soon as it ends, and we’re so thankful that we can always look forward to next summer. Next Article Camp Countdown: 3 Weeks Away!